Many Green Valley residents spend part of the year away from their Green Valley home. 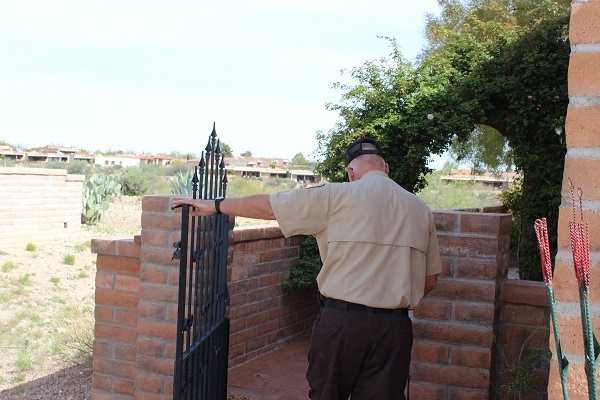 The Green Valley SAV Home Security Check program will check on your residence while you are away. The Patrol Units perform these checks on a routine basis. Initial registration for the Home Security Check program must be done at the SAV Office, 601 N La Canada Drive, located between the Pima County Sheriff’s Department District Office and the Joyner Public Library. Once you are enrolled in the program you can update your travel plans with the SAV either in person or by calling the front desk, (520) 351-6744, Monday through Friday, 8:00 a.m. - 4:00 p.m. Click Here for the form you'll need to request this service. Print it, complete it and bring it to the SAV office.